I’m not yet sure if the Safari Tent by Barebones is either a very accommodating tent for extended wilderness retreats or something like an impromptu mansion. 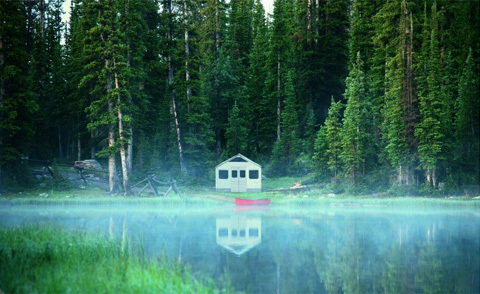 The 120 square foot portable home is capable of sleeping eight people and is very spacious. 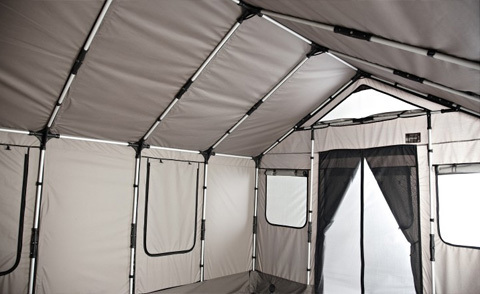 With broad, well-ventilated windows, front and rear doors, and nine-foot ceilings, the Safari Tent has impressive air circulation and a floor size convenient for comfortable living. While parts of the Safari Tent are engineered for very basic, comfortable, and efficient living in far-flung regions, it still services our modern accouterments. 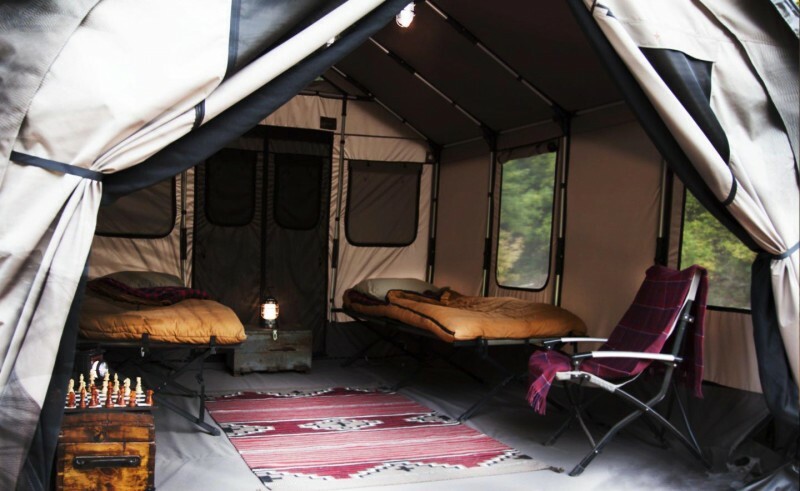 The Safari Tent is outfitted with ports for connecting power, heat, and water. So while you might enjoy a life away from plumbing and electronics, the Safari Tent is ready for when you need those things again. The body of the Safari Tent is made of a weatherproof fabric, includes a hard floor, and the frame is manufactured from aluminum. 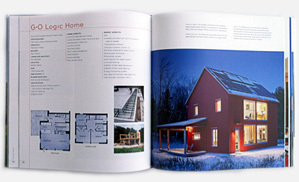 The whole tent can be affixed to any base like bare earth, cement, or wood. Everything about the design of the Safari Tent is ready for the long-term residency of you, your family, and your friends. 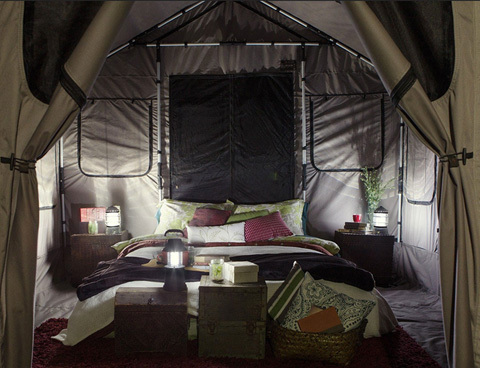 Whatever expedition you’re on, the Safari Tent is sure to satisfy your comfort.